We are celebrating University Press Week 2018 and today we will be considering the theme of history, with a staff pick from Rebecca Mortimer, Marketing Campaigns and Communications Executive. 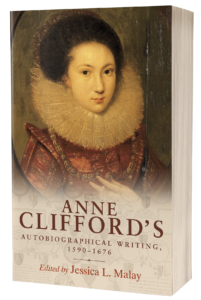 Anne Clifford’s autobiographical writings reveal a unique and vibrant look into the life of Anne Clifford, a prominent noble woman in the seventeenth century. She was known as an intelligent, pious and gritty woman. She fought for decades to secure her inheritance of the Clifford lands of the north, despite the opposition of powerful men, including James I. Anne subsequently went on to inherit the Clifford lands and the book delves into her ensuing struggles to reclaim authority in these lands still caught up in the horrors of the civil wars. The book also reveals another side to Anne Clifford, one which was vulnerable, determined, charitable and also fun! She recounts her teenage years of dancing in the court masques of Queen Anne, where there were elaborate productions of costumes, dancing and scenery. In 1619 she recalls having lost fifteen pounds to Lady Carr and Lady Grey playing Glecko. A few months later she lost twenty seven pounds again to Lady Grey! She was also kind to those around her and records buying books for Christmas presents, as well as other gifts including gloves, ribbons, lace, linen and locks (engraved with her initials), as well as distributing money. In December 1669 she recorded paying for ‘5 Hogsheads of beer’ (that’s 48 gallons) and ‘4 roundlets of Sack’ (16 gallons of fortified wine!). She also bought sugar, lemons and oranges and records paying for masses of beef, mutton and rare boar meat. No expense was spared to create luxurious meals for her household during the holidays. Anne Clifford’s autobiographical writings reveals a woman who was intelligent, strong and resilient. But also a woman who was kind and good natured and able to enjoy life despite all its challenges. Manchester University Press are giving you a chance to win a book each day during University Press Week. 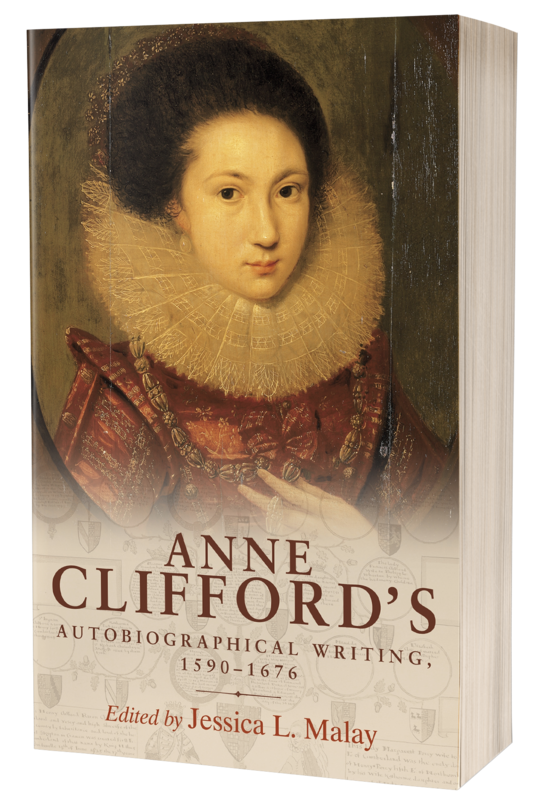 Visit our book of the month page to be in with a chance of winning a copy of Anne Clifford’s autobiographical writings.